If you're anything like me, you don't know a word of Korean. I've found the best way to browse GMarket with Google's web browser Chrome. It works on Windows and Mac (I've tested both), free to install, and it's fast. Add 2 extensions - namely for translation (eg. Google Translate) and currency converter (eg. Currency Converter). They pop up on the browser's toolbar and allows you to translate pages quickly/calculate costs in whatever currency you prefer. You can do all this with Explorer/Firefox/Safari and translate with sites (eg. Babelfish), but the above way is a lot quicker and saves you switching between tabs. Also enable pop-ups on your browser. There are a few of them, but you'll want them. Having a Gmarket account allows you to place orders with sellers, track orders, set up wish lists, collect Gstamps, accummulate credit points, etc. Follow the prompts to register an account. Your username and password must be 6-10 letters without spaces, and only letters and numbers are allowed. Under 'Alien registration number', leave the 'no' selected. Once you've submitted your registration details, you will receive an email thanking you for your registration. Now you're all set! If you know what you want, you can use the Search bar. 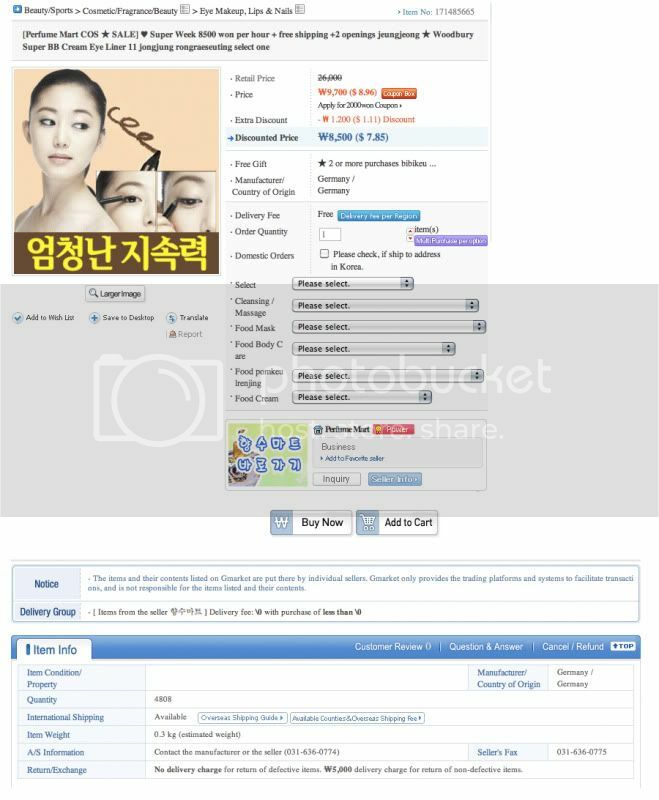 However most listings are in Korean, so this option might be best if the brand name is something you can type out (eg. Etude House) or you know the Korean word for what you're looking for. Not all sellers ship internationally, so when searching, remember to select. 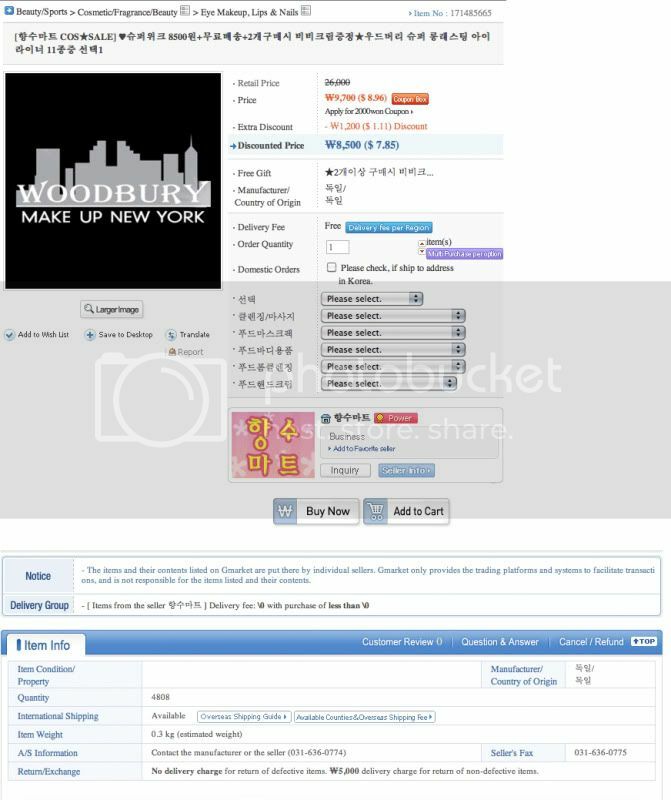 Sellers who ship internationally will have the pink 'Worldwide shopping' icon. Gmarket listings are much like eBay listings. Each listing is set up by a seller (sometimes known as a 'Mini Shop') and will have price, product, photo and delivery information. Unlike eBay, many listings have multiple products in a single auction. This results in a lengthy drop down menu and a longer loading time due to the numerous photos below. This is where the Chrome translator extension comes in handy and muttering 'patience is a virtue' repeatedly helps. Thanks to ivoryfox for this tip! Gmarket has made your shopping life easier with 'customer benefits'. This is always located on the extreme right of your browser. Click 'Shopping Navi' for a pop-up with size charts for clothes and shoes, including a translation of dimensions (eg. bust, waist). It is still a good idea for you to check the product listing's measurements before purchasing. Most listings will issue a pop-out when you click a product photo with more details, including measurements. Using wish lists is a good way to save and manage which listings you're interested in until you're ready to order. A wishlist had hold 50 listings. To set up a wishlist, click on 'My Gmarket'. Click in 'Add' and title your wishlist. Now when you find a listing you would like to order stuff from, just add them to your wishlist. In my case, I have a wishlist for shoes (listings), facial products (listings), etc. 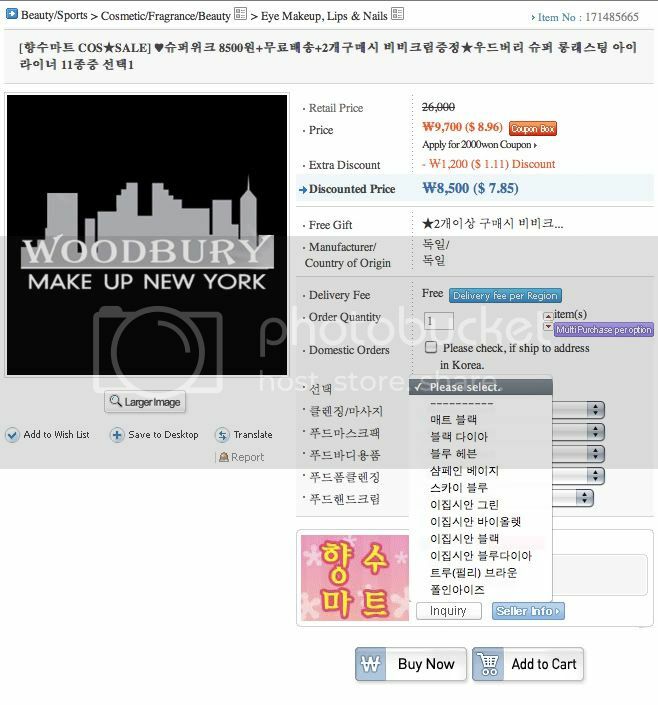 In this example, I'll use this listing for Woodbury eyeliner. With Chrome's translation extension, one click and tadah! If the listing is like this one for clothes, they have product codes, which help. Unfortunately there are listings with no product code or English names for their product, so translation won't help and you'll have to do a little Korean character matching. Make your selection, click "add to cart" and keep shopping until you're ready to submit your order. When you're ready to complete your order, make sure to check all the items and prices, and the total. I have used both non-Korean credit card and Paypal. Both are easy to use options. When using non-Korean credit cards, it is preferable that your credit card is either Visa or Mastercard. Otherwise you will have to go through several steps to provide copies of your credit card and identification. Once you have made payment, your order is placed with each seller. If a domestic shipping fee is incurred, this is added to your order and invoice. 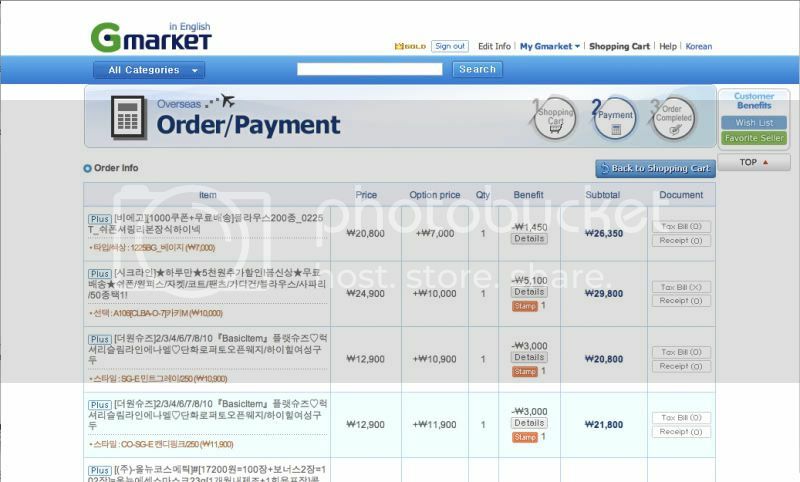 Gmarket uses EMS to ship internationally, which unfortunately might not deliver in your country. See the list of countries they ship to and table of shipping costs. Gmarket has no control over this nor on any custom delays/fees incurred, so please check your country's EMS legislation and the list of countries Gmarket delivers to. 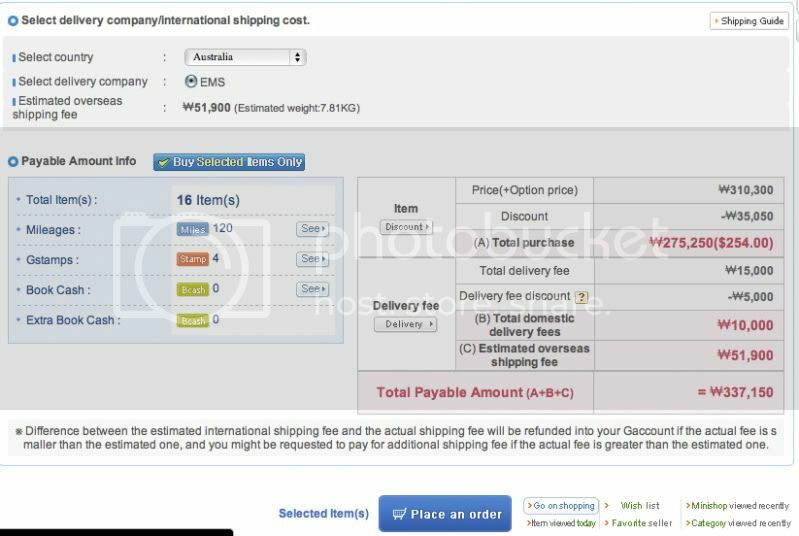 If the actual shipping cost is more than the estimated shipping cost by 3000 WON, you have to pay the difference. If the actual shipping cost is less than the estimated shipping cost by 3000 WON, Gmarket ignores the difference and you won't need to pay the difference. If the estimated shipping cost is more than the actual shipping cost by 3000 WON, Gmarket will refund the difference and the amount sits in your Gmarket account as Gcash. If the estimated shipping cost is less than the actual shipping cost by 3000 WON, Gmarket will not refund the difference. I've ordered and paid... what now? You've done all the above, so it's time to wait. You can monitor the status of your order under 'My Gmarket' and then 'Shopping List'. Once Gmarket has received all the items in your order, they will pack them in an EMS box and ship it to you. The tracking information is available via your 'Shopping List' page. Gmarket will also email you when sellers have shipped items domestically to the warehouse, and when they have shipped your items internationally via EMS. Once you've received your package, you can leave feedback about your order! This earns you mileage and Gcounts. 22nd-Dec-2011 12:56 pm (UTC) - Help! But I a question. Does Master DEBIT card needs verification too? As in scanning your card for verification or no?